MODA Salon & Spa offers a full line of nail services, including manicures, pedicures, and custom nail designs. Our nail service is more than just a “fill” at the cuticle. We use O.P.I. and Essential Elements product line. MODA Salon & Spa is very concerned about the cleanliness of our equipment. We not only meet the State Board of Cosmetology requirements, we exceed the requirements with our own sanitation requirements. All implements are cleaned after each use. The pedicure spas are cleaned and disinfected after each use, and bleach cleaned every day. No tool will touch your skin without being completely cleaned. Your safety is of paramount importance to us, so we take extra measures to keep you safe. Our nail treatments are Hot Stone Manicures and Pedicures. 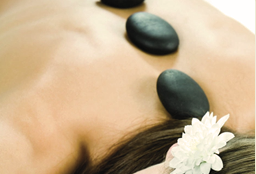 Unlike other salons, we do not do just standard manicures and pedicures: they include exfoliation and hot stone massage. The manicures utilize the heat of the stones to penetrate skin for ultimate relaxation and revitilization of sore and tired hands. Similarly, hot stone pedicures include a hot stone foot massage to releave tension and relax feet. The paraffin treatment’s therapeutic heat penetrates deeply into the hands or feet, increasing the blood supply and drawing and locking moisture from the lower layers of the skin. This is a time proven method of skin, providing excellent care for damaged cuticles and maintaining silky soft skin.